So, Dropbox just enabled a new feature that lets you share any folder, with anyone. I know what you're thinking: "but, Cam, I can already share folders with anyone I want. There's nothing new here." 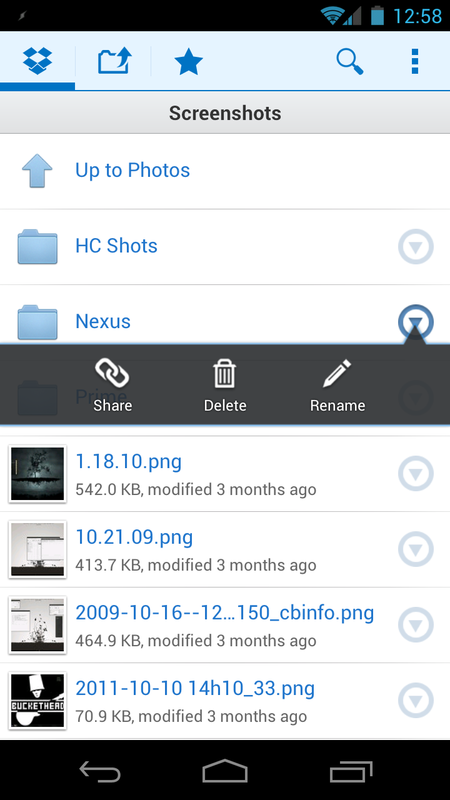 While you can share folders with other Dropbox users, this is different. It's actually more like sharing things in your public folder - it basically allows you to share the contents of a folder via link, but the recipient can't edit the files, only view them. Oh, and it already works from the Android app, no update required. 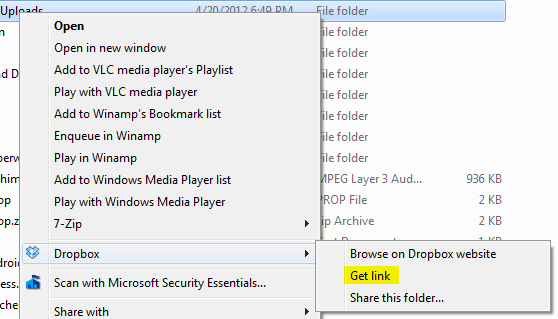 So, here's the gist: on your desktop, you can right-click on any folder within your Dropbox folder and select "Get link." A window will pop up in your browser with the contents of the folder - simply copy the link in the address bar and send it to whoever you want to share with. 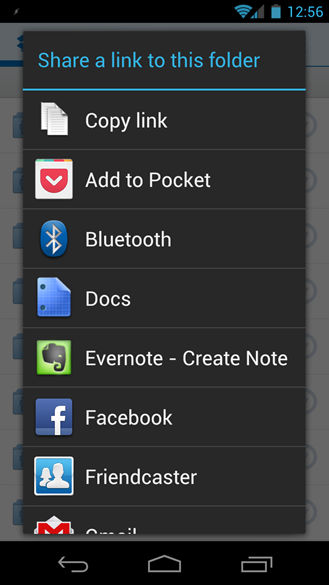 Similarly, if you want to share a folder directly from the Android app, just hit "Share" and then "Copy link" from the share dialog. The link will then be copied directly to the clipboard so you can easily paste it into a chat app, Gmail, Facebook... wherever. While this may be a nifty new feature, there are a couple of concerns here, but it looks like the Dropbox guys are a step ahead of us. First off, if someone tries to share a folder full of copyrighted material, there's a convenient little "Flag for copyright" box at the bottom-right of the page (rather a good idea, Dropbox). But what if you want to retract the sharing of a folder? Not a problem - there's a central location where you can manage every folder that you've shared, so removing the link is no more than a click away. This update may be minor in nature, but that doesn't take away from how incredibly useful it is - I can see myself using this very often. 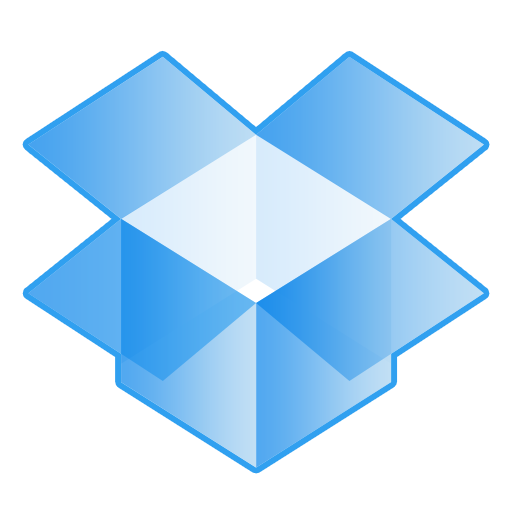 If you're already a Dropbox user, then you already have this feature; nothing needs to be updated or activated. It's just there. Nice.